The best part of the search for your next new Jeep or Chrysler is finding the vehicle of your dreams. The worst part? For many, it’s trying to make the numbers work. 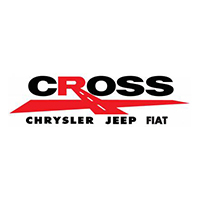 At Cross Chrysler Jeep, we understand that securing a car loan or Jeep, Chrysler lease can be a hassle. That’s why we offer a wide range of solutions to drivers from Lyndon, Jeffersontown, Saint Matthews and Jeffersonville IN. And to sweeten the deal, we staff a full car service and maintenance department to ensure your next automotive investment stands the test of time.